Thanks, Tamara. We’ll get the big guy fixed up and back to drawing a crowd in no time. Best of luck with a difficult decision. Wow. Hopefully everything goes well, and Moses gets back on his feet, and up for your previously-usual length of walk, even if day-hikes aren’t an option anymore. I agree and thanks! I have really missed our dog walks or taking him for a swim. I understand your caution, a lot can go still go wrong. On the other hand it is not melignant C which would have been disastrous. Be glad you still have an option, how difficult of a choice it must be. Sending good thoughts and sure you will do right for what suits you AND Moses best. Thank you for the sentiments – it’s always tough when our guys aren’t at 100%, and our priority with these decisions has got to be his best interests. I don’t know how to make these decisions; if money is no object, and the surgery will not make things worse even if they don’t make it better, I would do it. But you’re not me; in fact, when it comes to doggie health, you’re so much smarter you scare me. I have complete confidence that whatever you do, it will be the right thing. Hug the big guy for all of us! I like this train of thought: “the surgery will not make things worse even if they don’t make it better”. This is the very sentiment we’re leaning towards. Wow. I am so sorry to read this about Moses. working in a vet a clinic I have heard of this type of cyst but I don’t think I have ever actually seen it. I am going to have to look more into it. 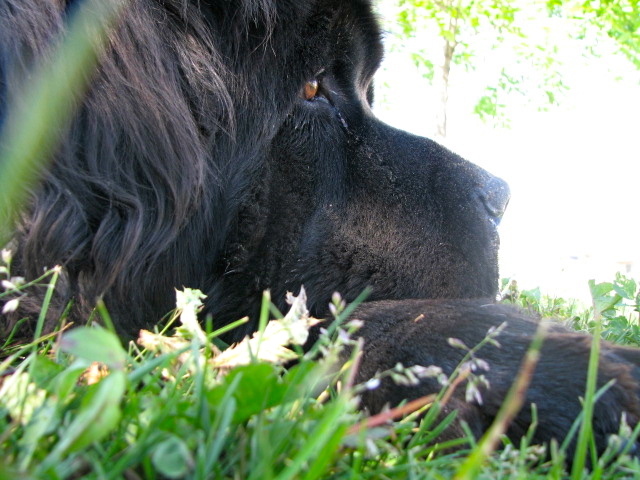 From one Newf lover to another I wish you and Moses the best of luck in this journey. My heart goes out to you ! My family has just been faced with the same decision of wether to have surgery on our 6 year old Australian Cattle dog named Chiara. She is the love, life and soul of our home as my children put it. We have to make a decision today and I have read the same article you described 5 times in order to understand and educate our family in making this decision. She is otherwise very healthy, and we are not even sure if insurance will pay for it for various different reasons, (one of them being considered as a pre-existing condition). I would love to know how Moses is doing and praying (very hard) that everything goes well with Chiara. The children (20, 17, & 12) have sworn every penny they make will go to the surgery and our hearts are so torn. Can you please let me know how Moses has progressed with the surgery. I am very sorry to hear about Chiara’s diagnosis. The positive news I can tell you is that all (so far) is well with Moses and his recovery has been very good – and very steady. All things considered, I am so glad we opted to go through the surgery. Let me tell you, the first week after the surgery was not easy. 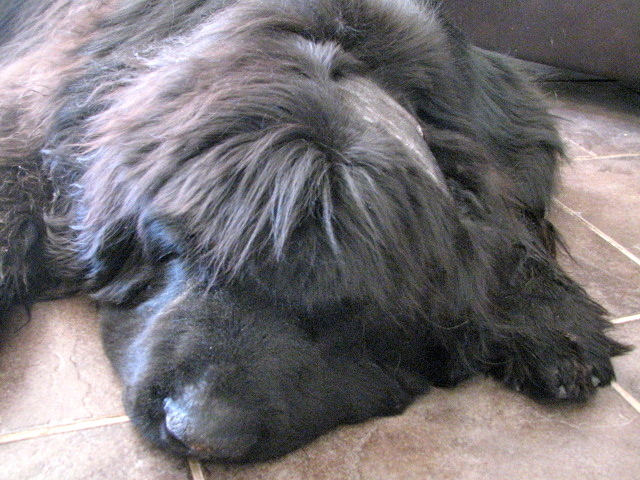 When we brought him home, he could not even stand up on his own, or walk at all, which is extremely difficult with a 180lb Newfoundland. I suspect you will have an easier time helping Chiara up and out for bathroom breaks and whatnot. An update 8 weeks after the surgery, when we could start taking Moses for short walks again, is here. The video alone is why I would always opt to do the surgery again. And now, 12-ish weeks after the cyst was removed, Moses is up to 20 minute walks daily, can hop in and out of the car without help, and seems very much back to his old self. And his fur is almost fully grown back! I can’t tell you what to decide to do, but I can report that our experience was trying but positive overall. And our pet insurance company definitely helped (a spinal cyst was not considered a pre-existing condition, since whatever causes it might be congenital, but the cyst itself does develop over time as a build-up of spinal fluid). My best wishes to you, Chiara, and your family. I hope your experience turns out as well as ours has thus far. 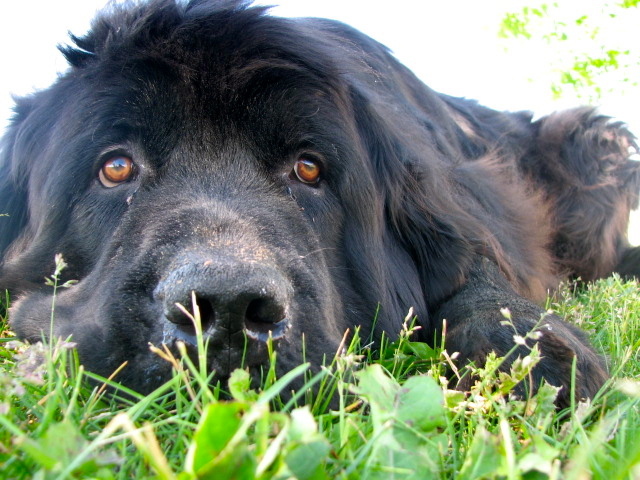 It has now been over 4 years since the surgery and Moses is 7 1/2 years old – that’s getting up there for a newf, whose lifespans are often quoted at 8-10 years. He is starting to show his age now, and over the past few months have notice him start to lose some mobility in his front legs again (as well as other general aging symptoms). He’s down to max 45 min daily walks, which seems to help, and he doesn’t like stairs but can still do them with hesitation. If I could go back in time would I do it again? Absolutely. It’s been a great 4 years and he’s a happy dog who can still do his favourite things – swim, play with us and Alma, destroy a bully stick, go to the park and on (shorter) walks. He was in otherwise good health and weighty and relatively young, so that helped with recovery. Pet insurance covered the bulk of the expense, which also played a factor in a pricey procedure. Would we do it again today for a second time if he needed it, though? Probably not. Now that he’s a senior dog, I think the recovery would be too hard on him and he wouldn’t recover fully at this age. I don’t think his quality of life would fare well (unless a vet seriously advised otherwise). So it’s a tough call to make and a serious surgery with a long recovery. Every dog and family is different. Your dog is young and so would probably recover well if he’s otherwise healthy – he’s got a long life ahead of him! And if you’re prepared to work on all the at-home rehab and exercise it can be a happy, active life after surgery! I can’t tell you what to do, but I’m a sucker for animals and occasionally an optimist, so I know what route I’d make… And did. My dog Boo (curly coated retriever) had his surgery exactly two years ago tomorrow. He was 13 months old at the time. I was warned by the neurosurgeon that he would probably not be 100% as the cyst was both dorsal and ventral and they weren’t sure if they could get it all. But I went ahead with the surgery, and I am so glad I did. Boo will never be a competitive agility dog (which was what I was planning for him) but he has a normal happy life, he swims, dock dives, goes for 2 hour hikes, and even does some agility just for fun. We did lots of rehab, which I think really contributes to recovery. Boo is still improving in his coordination. 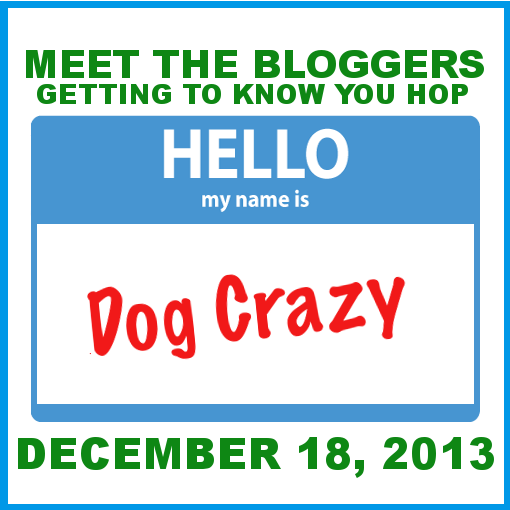 We did have some issues with dog reactivity, since Boo was knocked over several times by out of control playful dogs. But that has improved as his balance has. The coolest thing is, Boo became so accustomed to being poked and prodded and being in strange new circumstances, that he is now a hospital visiting dog, and we visit at a facility for people with spine and brain injuries. When they see his back legs occasionally shaking, they can relate to him. Like Jen, if Boo started having symptoms again (the cysts can re-occur) I probably would not repeat the surgery. But I am very glad I did it 2 years ago. I am happy to hear Boo had a positive experience with the surgery! Shiela makes an excellent point about some dog reactivity – we experience a little bit of that with Moses. If an energetic dog jumps on his back or attempts to mount him, he is quick to growl and let them know that’s not appropriate (pre-cyst Moses was happy to rough-house with anyone). Most dogs take the hint and it doesn’t escalate beyond that, but sometimes a dog will not take too kindly to this (Moses is still 160lb, so rarely a dog will want to get into it with him, and he’s still capable of standing up for himself). Dogs he sees often and Alma (obviously) acknowledge he’s older and simply adjust their play style accordingly. But you might notice that your dog is extra sensitive or “cranky” to the energy around him or various situations during recovery and while they are not confident in their own balance and coordination. This is normal and should just mean no off leash dog park until the rehab process is far along. Thank you so much Jen and Sheila, I have found your advice extremely helpful and reassuring at such a stressful time. We have decided to go ahead with Milo’s surgery and are praying that it will be the best decision for Milo. Best of luck to you and Milo! It sounds like he has an awesome family who cares a lot about him. HI, my 13 month old curly coated retriever Boo, has just been diagnosed with an arachnoid cyst, I just wanted to tell you how helpful your blog has been for me, and also how encouraging. I hope Moses is still doing well. Hopefully we will get the surgery soon, any more tips you can give me on surviving the crate rest and helping with rehab would be great. I’m glad you found the blog and that it’s helpful! I’m happy to report that 2+ years since his surgery and Moses is still doing great! It’s a tough situation, but I’m glad we went forward with the surgery. I’d do it all over again, and wish you and your pup a speedy recovery! After the surgery, we didn’t waste any time working on getting Moses standing and walking a few steps. He’s so big, that it was better for everyone that he get up and move around on his own as soon as possible – but it was still a slow process. His drafting harness was helpful to have on him to help steady him. And we did lots of physio exercises like moving his legs around when he was laying down. Lots of favourite treats are good enticement for walking/standing, and raw bones and bully sticks are good to keep them busy and work on mouth/paw coordination. Food-puzzles would also be good to keep an energetic dog occupied. There is a “Preparing Your Dog For Surgery” post pinged above you might find helpful if you haven’t yet come across it. And we spent a lot of time grooming, since all the down time can result in matting easily. The hard part will be keeping him calm once he starts to feel better, and limiting walks and exercises even when they can walk well again, because you don’t want to go too far too fast and set back the recovery. That’ll come down to lots of calm games and exercises and a few short and slow walks in the day. If you do obedience training, sit/down stay practice is a good thing to keep busy and stimulates them. I hope this helps! And I hope your guy recovers as fast and as well as possible! Keep me posted. Our 7 month old Bichon Frise Milo has just been diagnosed with a subarachnoid cyst and has been booked in for surgery on Monday. I am just wondering following your experience with Moses if you would still recommend going ahead with surgery? Sad to hear about your bullmastiff! Good luck with everything! We are now >4 years since Moses’ surgery and I am glad we did it and would not change a thing. Being diligent during the first few weeks of recovery is most important, and we used an old harness to help him stand and walk, which I would recommend for you. 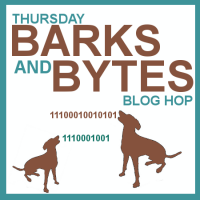 If you scroll up, there are more detailed comments and updates in this thread, as well as pingbacks to other posts you might find helpful – especially the Preparing Your Dog for Surgery one. Let me know if you have any specific questions, though, and I’m happy to help in any way I can. I hope all goes well for your big guy! Thank you, I am still reading and just realized all the additional info, very nice. It’s hard to find insightful data that I can actually relate to. Packer is at day 3 from ct scan and still is very unsteady. Just wondering how long does it take these big guys to regain mobility after scan? I understand this will pale in comparison post op but still curious. Also after surgery im concerned with leaving him here alone while we are at work. Thankfully I work partime and it would only be for a few hours a day but did you have Moses in a crate while unattended? Did he have a cast or brace? I can’t thank you enough for still responding to comments, I am literally tearfully happy that I found your blog. Carrie, I agree with you, this blog was a lifesaver for me too – it was so hard to find info about this condition. Jen, my vet sent me a paper on a study that was done in late 2013 on over 100 dogs with the condition – can I send attachments to you via the blog? Let me know, I can send it to you tonight. I kept my dog Boo (75 lbs) in a 4×4 X-pen when I wasn’t around. The big problem I had was that for a week after surgery he had to pee every hour! This was in part due to IV hydration and also Boo removed his urinary catheter himself, so there was a lot of irritation and swelling. I didn’t have to worry about him moving around too much in the pen, they are on a lot of pain killers for the first couple of weeks so they are pretty mellow. The surgery was right before Halloween though, so he would jump up and bark every time he heard fireworks, which was not good for him. I think the key is rehab, and if you can get your dog into water rehab that is absolutely the best! Good luck, I hope everything works out well. Of course there’s a big study after we go through it! I would love to read it – you can email me at backalleysoapbox@gmail.com – thanks so much! You are definitely right- the key is rehab! If ours wasn’t progressing well, we’d researched a water rehab place in the city to go to. We didn’t end up having to, but it’s nice to know it’s there and I’ve heard good things from people who’ve used it for various conditions. Moses didn’t have to have IV fluids at home – thank goodness! I think he spent one overnight at the vet after surgery, and then we took him home (24 hour care can be expensive). Also, you’re right about the drugs! He was super drugged up the first several days, and while he seemed generally content, he definitely wasn’t getting up and going anywhere on his own. Best of luck to Milo! Let us know how it goes tomorrow. I’ve forwarded the article to the email you comment with, but let me know if there a better one to send to. Yes please do! pierce9938@comcast.net thank you so much! Please answer any of my questions, I value your opinions right now, gives me comfort to have first hand knowledge of the pending procedure and post op! It was quite a while ago, so I’m not sure, exactly – maybe a week? But I do remember Moses taking some time to recover from the CT scan – might just be that the aesthetic is hard on them, together with the effects of the cyst. Since we had surgery in the summer, we left Moses in the back yard during the day (since he was unable to get up to go to the bathroom, it was preferable for him to be outside a lot). He couldn’t move around a bunch those first few days, so we made sure he had shade and water. I worked nearby at the time, so was able to come home at lunch and check on him, so he was only alone for 4 hours at a time (and we have nosy neighbours that kept an eye on him 😉 – he’s not a barker or anything, so he was fine out there). At night, we kept him inside per usual. Once he was more mobile, we we were able to leave him in the house during the day like normal, too. He’s not crated usually, but even if Packer is, I wouldn’t worry about crating him too much the first few days – he won’t be able to get up easily on his own, so will likely stay put. And it might be awkward to try to get him in and out of the crate while he needs your support. Hope you don’t mind if I ask a few questions here and there. The vet will answer but it’s nice hearing it from someone who physically went through the process. How long from surgery until Moses was able to potty by himself? I realize every situation will differ but I’m trying to create somewhat of a timeline with kids, work and home I need to vaguely organize the long stretch ahead. No worries! I may not write new posts anymore, but I still get email notifications for comments, and am happy to answer and help when I can. Vets are still the experts, but it’s nice to hear from people who went through something similar (I relied on stories about those who treated their dogs for wobblers when we were going through it). It was about 2 weeks when Moses was able to stand and take a few steps on his own – and even then he needed a bit of help getting up sometimes still (e.g., on slippery floors). But that at least meant he was able to make quick bathroom breaks on his own or with minimal assistance. Luckily for you, Packer has shorter fur, so you don’t have to worry about matting, etc., from all of the down time. Hi there!! My dog was recently diagnosed with a synovial cyst on his spine. I’m wondering if that is the same as yours? He was playing ball and ran too hard for it and fell backward crying out in pain. He is a three year old labrador weighing 105 pounds. We are going back and forth on whether to do surgery or not. He has lost some feeling in his hind leg. He has gone to one physical therapy session and we plan to add more. I was wondering if you had a general surgeon or a neuro surgeon perform the surgery on your dog? We are going next week for a second opinion from the neuro surgeon. Thank you for this blog. As with others, I could not find anything about this diagnosis on the internet. I was happy to read yours!! I think that might be a little different since ours was a subarachnoid cyst and was causing loss of motion in his front legs. Our surgery was performed by a surgery specialist who had about 20 year experience and was trained in neurologic procedures and she did a wonderful job – nearly 5 years later and Moses is a happy dog – definitely glad we decided to go through with it! 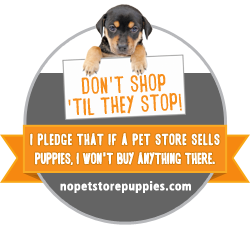 Good luck with your pup – it’s never easy. Hi my 8 yr 11month old Rottweiler has just been diagnosed with a subarachnoid cyst on the C2-3. He is being treated medically with omeprazole and will be starting a course of steroids. It is now day 5 from scan and he is walking a lot better than he was. He has been on omeprazole since the scan and starts the steroids tomorrow, which the vets hopes will take the inflammation down. They are hoping for a good result when the steroids start. Time will tell. We think that he is too old for surgery and he has arthritis in his wrists, he’s already had a cruciate ligament operation on one back leg and the other back leg has cruciate ligament disease. The scans also showed slight disc herniation in his C5-6 and 2 other places further down his spine. Do you think that deciding against surgery is the right decision? He has always been an active happy dog and we think spinal surgery would really affect his quality of life. I was so happy to read about Moses’s recovery. It looks like the surgery was a complete success! I was also sorry to hear about Linda’s Rottweiler. I hope he responded well to the steroids! We are going through a similar issue with our Bernese Mountain Dog and hoped for some advice. Our dog is seven and we love him dearly. He was diagnosed with a suspected arachnoid cyst on his spine eight months ago. Since the cyst was long and not ideal for surgery, our neurologist recommended conservative treatment (steroids). Our boy has been on steroids now for eight months, but he is really failing now in his hind legs and can barely walk. We have to help him around with a harness and even that is very hard. He also has double hip dysplasia, which I think is making things worse. We had a second MRI done and could elect to proceed with surgery, but have no real guidance as to whether or not it will help or make things worse, given his size, age, duration of symptoms, length of cyst (it cannot be removed, only opened up) etc. It’s his only shot at getting “better”, but we were provided no percentages as to how likely that would be (we have asked our neurologist and three others have reviewed his file as well – all seem to say “you can’t make a wrong decision here” – great). With no odds to lead us, our hearts are breaking as we feel such an invasive surgery may be worse for him than just letting him stay at home. We ordered a wheelchair/booties/new harness for him with the hopes we can improve his quality of life. Any thoughts are welcome. There are very few pages on this condition, so I am hoping some active readers may still be around! My curly coated retriever Boo was diagnosed with an arachnoid cyst at 12 months of age, and had surgery at 13 months. 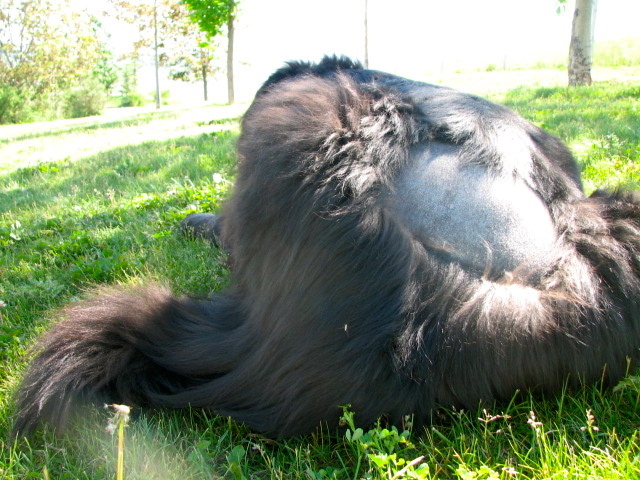 His cyst was also complex – both ventral and dorsal, and the surgeon was not able to completely remove it. It was a long difficult recovery, with lots of rehab, but he did get back to about 95% normal – enough to enjoy hiking and swimming, but no dog sports. I saw improvement for about 2 years after the surgery, then he remained stable, and now that he is almost 6 years old, I am starting to see signs of deterioration. Not sure if it is just the strain on his body from being not quite normal, or if the cyst is acting up again. Anyway, I am glad I did the first surgery, but I would not put him through it again. So I think you are thinking the right way – he is too old and infirm for such an invasive surgery. Based on my experience, I would only recommend surgery for a young dog with no other health issues. I am now starting to look at alternative methods for pain relief, as well as going back to rehab exercises.